The giant Large Hadron Collider at CERN’s lab in Europe may be closed until 2015 but experiments will still be run there in the second half of this year on much smaller synchrotrons that examined the decay of particles into electrons, muons and neutrinos, all of which belong in a family called leptons. So what are leptons? First, let’s start with the basics. Matter is made up of atoms, and atoms are made of electrons and nuclei, bound by the electromagnetic force. Electrons have negative electric charge and their mass is small in comparison to that of the nuclei. Nuclei are made up of protons and neutrons. In turn, protons and neutrons are made up of point-like particles called the “up” and “down” quarks. As far as we know electrons are elementary particles; that is, they appear to be point-like particles without internal structure. Quarks bind together through the strong interaction to make, for example, protons and neutrons. Leptons do not take part in the strong interaction, and only interact via the electromagnetic and weak forces. Quarks, at least in normal circumstances, exist only in bound states. Leptons, on the other hand, can be individually observed. For each of these leptons there is also an associated anti-particle, which has the same mass but opposite charge. The electron is familiar to everyone. It is directly tied to the chemical properties of almost all atoms. It is the smallest charged particle we know of and is very stable. The electron’s antiparticle, the positron, is identical in mass but has a positive charge. It was the first particle of antimatter that was discovered. Muons and tauons are heavier and highly unstable versions of the electron. Muons have mass 207 times larger than electrons and a lifetime of 2.20 microseconds. It can be created in cosmic rays at different heights above the earth. Muons make up more than half of the cosmic radiation at sea level, the remainder being mostly electrons, positrons and photons. The average sea level muon flux (or concentration) is about one muon per square centimetre per minute. The tauon was discovered in high-energy particle collision experiments between 1974 and 1977 by Martin Perl with his colleagues at Stanford Linear Accelerator Center in California. It is the most massive of the leptons, having a mass about 3,490 times the mass of the electron and 17 times that of the muon. 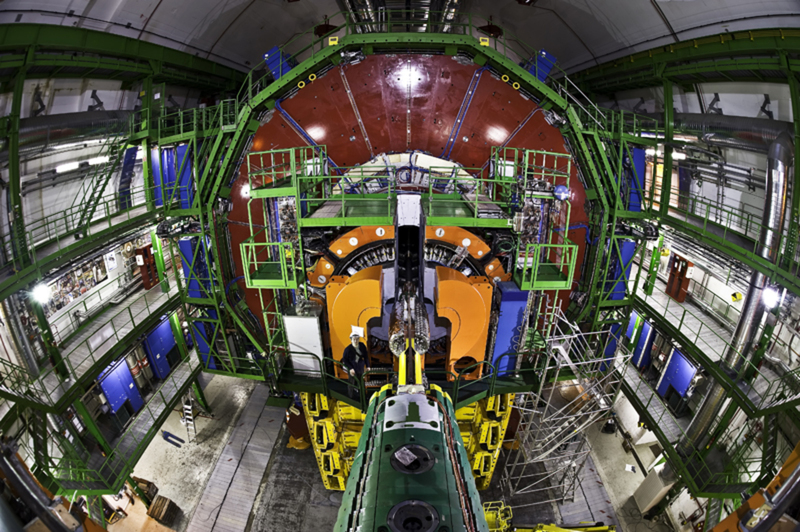 The tauon has a very short lifetime – 100,000 times shorter than that of the muon. Neutrinos are produced in a variety of interactions. 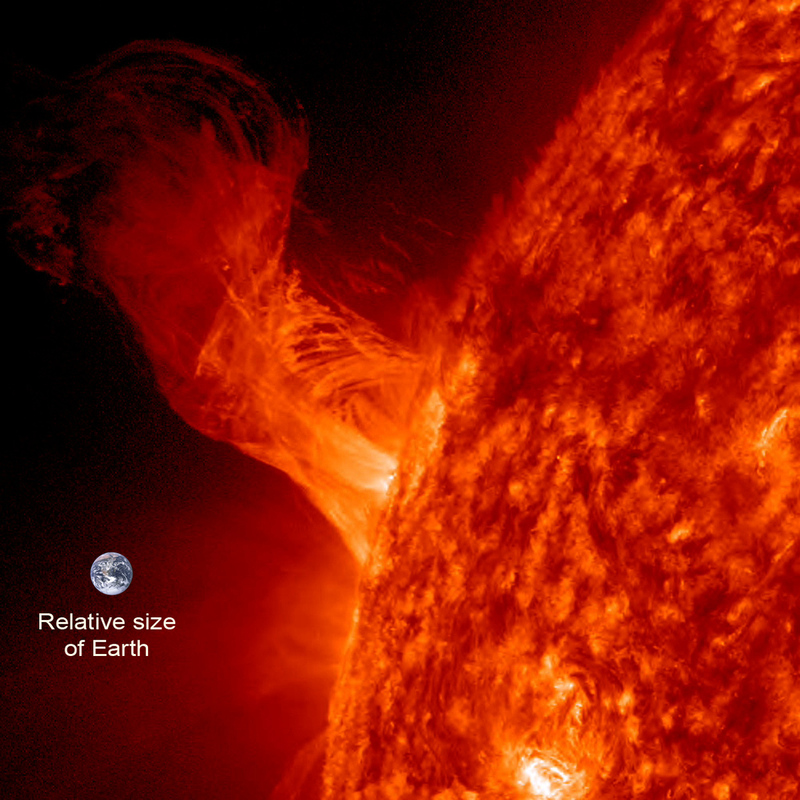 The sun produces millions of neutrinos in the internal fusion reactions that power it. Since neutrinos do not interact electrically or strongly, they almost never interact with any other particle. Most neutrinos pass right through the Earth without ever interacting with any single atom. Because neutrinos were produced in great abundance in the early universe and rarely interact with matter, there are a lot of them in the universe. The discovery that neutrinos have a very small mass, at least a million times lighter than the electron, raises the possibility that neutrinos get their mass from unknown processes, that may not be related to the recently discovered Higgs boson. All fundamental matter particles are for some mysterious reason organised into three distinct families. The current particle physics theory assumes that there are no more than three families of leptons. This is due to experimental evidence that indicates there are three types of neutrinos, and hence three lepton families. One piece of evidence comes from the measured hydrogen/helium abundance ratio in the universe. When the process of nuclei formation (nucleosynthesis) from the Big Bang is modelled, the number of types of neutrinos affects the abundance of helium. The observed abundance agrees with three types of neutrinos. Despite its success, the Standard Model of Particle Physics does not answer the questions as to why we have so many types of leptons – and why their mass differs so dramatically. Only detailed experimental studies of leptons’ properties will provide clearest insights into this mystery. Elisabetta Barberio receives funding from the ARC.